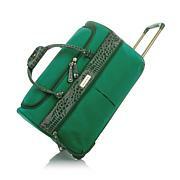 Travel should be exciting and breezy ... don't let inefficient luggage weigh you down! 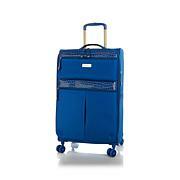 This hardside spinner is tough enough and offers all of the interior organization and luggage protection every intrepid traveler needs. Choose your favorite hue for a stylish finish that's easy to spot on the carousel, and wheel your way to a carefree vacay! This one gets 2 weeks easily! Wow! 2 weeks worth of clothes, shoes, toiletries, steamer, jewelry case, & umbrella! Loved using the packing cubes! It rolls like a dream! Made it through being a checked bag without a scratch! Can't wait for next trip! Aside from it being super stylish, the new hardside luggage is reinforced at the corners of the suitcase. I purchased the original hardside set to travel abroad. And it too, was very streamline and stylish. BUT... the 1st time I used it, there was a dent in the corner of my 26" case. As soon as I saw the new style I got on the phone to purchase. The cream color is to die for!!! Next time you do an expandable hard side bag like this, could you make the zipper pull on the expand zip a different color or size? It would make finding it so much easier. Cant wait for my Carribean Cruise! Love, love, love! Samantha Brown thought of everything. The suitcase is a perfect size. 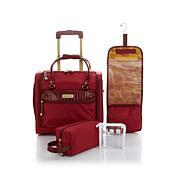 I did also purchase the 4 piece smaller luggage set (22, weekender bag, and organizer cubes). 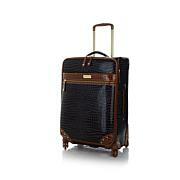 The handles on both suitcases are padded for comfort. 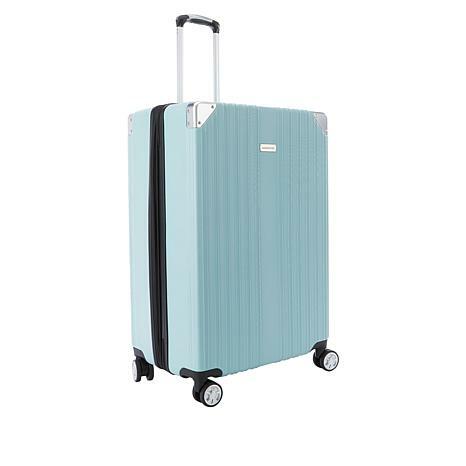 The glide on the suitcases is so easy and quick. I love the compartments on the inside. All of your clothes will be organized. The wheels are sturdy and seem to be very strong. I think someone would have to run a truck over it for them to break. Buy it!